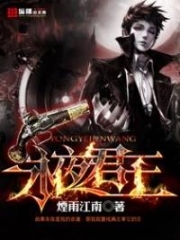 You’re reading novel Chaotic Sword God Chapter 677: Celebrating with the Kingdom online at LightNovelFree.com. Please use the follow button to get notification about the latest chapter next time when you visit LightNovelFree.com. Use F11 button to read novel in full-screen(PC only). Drop by anytime you want to read free – fast – latest novel. It’s great if you could leave a comment, share your opinion about the new chapters, new novel with others on the internet. We’ll do our best to bring you the finest, latest novel everyday. Enjoy! In the moment Jian Chen stepped out from his room, his entire body seemed as if it was radiating some sort of invisible light that s.h.i.+ned across the entire world. In front of him, the entire world looked as if it had lost its color. In Jian Chen’s eyes, the world around him was completely different than before. This was all in thanks to his ability to discern the mysteries of the world. He could sense that his own body was one with s.p.a.ce. As long as he wished for it, he could use the Spatial Force to instantly travel to another place. In fact, he could even use the s.p.a.ce around him to a certain degree as if it were his own domain. In the world, there was a faint but exceedingly strong energy that floated about. It was intangible and practically invisible to the human eye. But he could sense its existence. This was World Force, a force even stronger than Saint Force. When the entire group outside of Jian Chen's room saw him, they all grew quiet so that not a single person said a word. They only stared at Jian Chen as if he were some sort of valuable treasure to behold. In this pa.s.sing moment, they were no longer looking at the fourth master of the Changyang Clan. They were looking at one of the rarest individuals of the Tian Yuan Continent. They were looking at a Saint Ruler. “Hahaha, excellent! You are more than worthy of being a descendant of my Bi family! Grandson, your talent is exceedingly shocking! The fact that I’ve a descendant like you makes me feel completely at ease!” A loud roar of laughter boomed from behind to break the silence of the area. Following the laughter, Bi Hai came striding into the area with a look of pride and joy. The group of elders had turned their heads to look at Bi Hai when he entered. But still, not a single one spoke. Instead, they moved to the side so as to give him a direct pa.s.sageway to Jian Chen. There was joy on Jian Chen’s face too. The fact that he’d be able to breakthrough from being a Heaven Saint Master to becoming a Saint Ruler was completely unexpected to him too. When he first found the scroll from Situ Qing’s s.p.a.ce Ring, he had only intended on giving it a look-see to see just what in the world this shortcut was. Never did he think that this shortcut to understanding the mysteries of the world would allow him to suddenly gain enlightenment and breakthrough. It had awakened the fragments of the mysteries of the world in him and brought him to an elevated realm of thought. In the end, the three pieces of beast fur had given him another boost so that he could fully detach himself from the Heaven Saint Master realm to become a Saint Ruler. “Xiang’er. 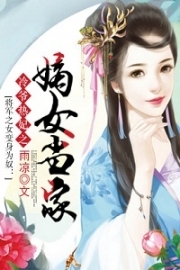 You’ve become a genuine Saint Ruler?” Bi Yuntian’s voice quavered with excitement as she asked him. Though she knew the answer, she desperately wished to hear the answer from her own son’s lips. “Hahaha! Well done! Well done indeed! The son of I, Changyang Ba, has become a Saint Ruler! What an outstanding son I have! Time has not made me weak it seems.” Changyang Ba boomed with a prideful laughter. His voice was joyful and filled the entire manor with his echoes so that even plenty of people outside of the manor could hear the absolute joy in his voice. The king of the Gesun Kingdom himself was excited. To have a Saint Ruler in his kingdom was an extremely fortuitous event. But the most important thing was the fact that this Saint Ruler was engaged to his daughter. Having a Saint Ruler as his son-in-law was something that he never would’ve dreamed of having. Even one of the Eight Great Powers would be envious to have such a chance. “Ai! My dear nephew truly is far too terrifying! He is a genius to become a Saint Ruler! Am I perhaps dreaming of this?” Bi Dao muttered from the side of the king. When he last saw Jian Chen years ago, he had only just materialized his Saint Weapon before being chased out by the Huayun Sect as a Saint. It had been a relatively short time since then, but now this little Saint had suddenly leapt upwards to become a Saint Ruler! This was what Bi Dao felt completely stunned about. News of the fourth master of the Changyang clan becoming a Saint Ruler quickly spread throughout the kingdom. Like a squall, this information pa.s.sed by the ears and mouth of the citizens of the kingdom, leaving everyone speechless. Magical beasts capable of carrying information faster than humans flooded the skies in droves so as to send this information out of the kingdom as fast as they could. Soon enough, everyone in the Gesun Kingdom and beyond were stunned by the news. Not too long afterwards, the king of the Gesun Kingdom let out another proclamation proclaiming that today would be a national event to celebrate and be recorded in history to commemorate Jian Chen’s ascension. The fact that the rainbow clouds meant that Jian Chen became a Saint Ruler spread rapidly throughout the area. The surrounding kingdoms near the Gesun Kingdom heard of it, and each and every king that heard it was shocked as a result. One by one, they began to send out an envoy with a plentiful amount of gifts. These envoys were Heaven Saint Masters and could therefore reach the Gesun Kingdom even faster. Even the greater sects and clans within the surrounding area sent their most valuable representative with plenty of gifts to give. On this brisk day, everybody that was a somebody within the Gesun Kingdom was gathered in Changyang Manor. Even the two grand elders of the Huayun Sect had arrived with gifts to celebrate this momentous occasion in Lore City. Today, the Changyang Manor was completely cleaned and decorated with Chang Wuji personally receiving the guests. The most antic.i.p.ated person of the day; Jian Chen, was not yet there to make an appearance in front of everyone. Then when the entire manor was at its liveliest with guests, Jian Chen, Bi Yuntian, Changyang Ba, and the king of the Gesun Kingdom gathered together. “My dear relatives, my Yue’er and son-in-law aren’t by any means young anymore, and the engagement between them has gone on for some time already. In my opinion, we should find a good day to conduct the marriage ceremony.” The king smiled as he spoke. Now that Jian Chen was a Saint Ruler, the king himself wanted nothing more but to have Jian Chen hold a great wedding with his daughter. Changyang Ba and Bi Yuntian nodded as well with a smile since they too shared similar thoughts. Although they knew that their son was extremely superior, the two of them were very fond of princess You Yue. If it were her to be married to their on, the two parents found no objections to it. “Xiang’er, you and Yue’er are adults now. Don’t you think it’s time….” Bi Yuntian prodded the question. She was extremely hopeful that Jian Chen would agree since she was very fond of the idea of having You Yue and Jian Chen married. “Xiang’er, you’re already a Saint Ruler, and the Flame Mercenaries you’re leading is already the dominant force in the area. Now that the ground beneath your feet is settled, you and Yue’er should get married. Don’t you think it’s time to tie the knot?” Changyang Ba smiled kindly. Inwardly, Jian Chen let out a small grumble. With a slight sigh, he spoke, “Father, mother, and your Majesty. With my eldest brother not yet having his limbs healed and the whereabouts of my second sister unknown, now would not be a good time to conduct the marriage ceremony.” Jian Chen knew that this marriage was already something he couldn’t change, but he didn’t wish to settle down just yet. He wanted to prolong it for some time still. When the king heard Jian Chen’s answer, he let out a helpless sigh. He knew that from this response, the marriage between his daughter and Jian Chen would be stalled indefinitely. Jian Chen’s response made sense. His eldest brother was without his limbs, and his second sister was completely lost to them. Without the entire family being there, a marriage would be unwise to have. And so talks of marriage had been stopped there. Jian Chen continued to talk with the king of the Gesun Kingdom and his parents for some time before Jian Chen returned to his own room and closed himself off for the time being. Now that he was alone in his room, Jian Chen sat on top of his bed and took out the blank scrolls and the three pieces of beast fur to study. Ever since he became a Saint Ruler, the mysteries of the world were no longer a mystery now that he could use the power as he wished. With this elevation in power, the mystery that was hidden within the scroll could now be faintly sensed. “It’s no wonder this scroll could evolve the mysteries of the world. The mysteries of the world that were branded in here was done by a divinely being almost. I can sense that the power in here is extremely faint though. Could it be that after it’s used once, the seal that keeps the mysterious power in here loses its effect until all of it is gone? Then using this scroll once would turn it back into a regular scroll. But these three beast furs still remain a mystery.” Jian Chen muttered. He understood the nature of the scrolls now, but the three beast furs were still a complete enigma to him. Despite him being a Saint Ruler, the three beast furs still felt the same as any other magical beast fur. Even the fact that the mysteries of the world was hidden within the beast furs would go unnoticed if he didn’t know about it beforehand. “These three beast furs are complicated in nature, there’s a definite secret hidden in here. But what exactly is that secret? Even as a Saint Ruler, I cannot tell.” Jian Chen asked himself with great curiosity. 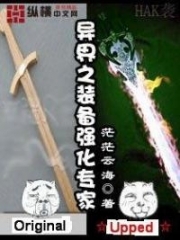 You're reading novel Chaotic Sword God Chapter 677: Celebrating with the Kingdom online at LightNovelFree.com. You can use the follow function to bookmark your favorite novel ( Only for registered users ). If you find any errors ( broken links, can't load photos, etc.. ), Please let us know so we can fix it as soon as possible. And when you start a conversation or debate about a certain topic with other people, please do not offend them just because you don't like their opinions. You're reading Chaotic Sword God Chapter 677: Celebrating with the Kingdom. This novel has been translated by Updating. 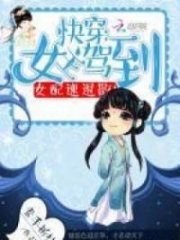 Author: Xin Xing Xiao Yao already has 12268 views. Current Time is Apr-22-2019 16:37:39 PM.